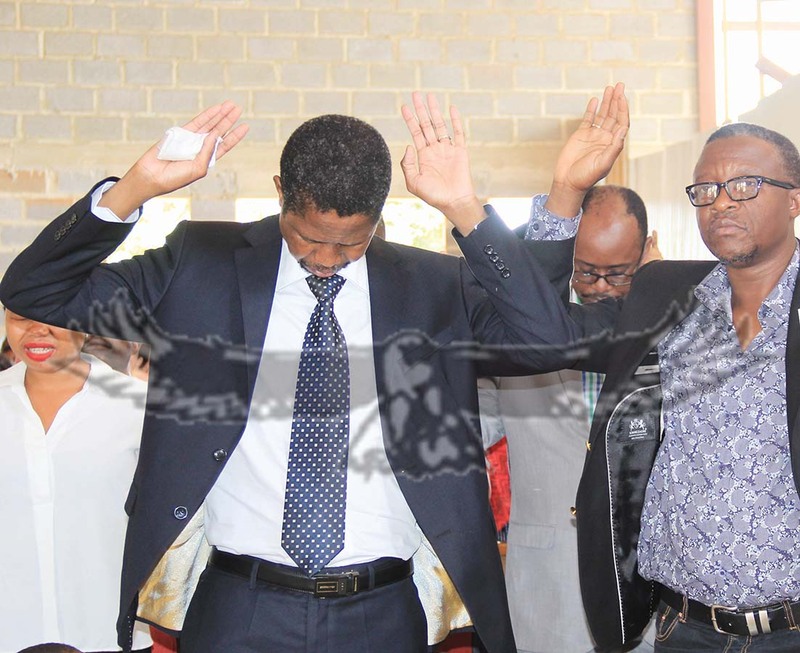 MINISTER of Justice Edgar Lungu (left) and Patriotic Front member Emanuel Chilubanama during a church service for Evangelical Church of Zambia in Lusaka yesterday. PICTURE: ANGELA MWENDA. TOMORROW ,Zambians gather at various venues for what is expected to be a day of an outpouring of prayer and worship upon a nation faced with economic challenges and energy crisis. Various churches and Christian umbrella bodies have announced programmes that fall in line with the proclamation of a day of repentance, fasting and prayer by President Lungu to be observed from 06:00 hours to 18:00 hours. In Lusaka, probably the largest gathering of Christians will be at the Olympic Youth Development Centre, where prayers have been organised by Pastor Sunday Sinyangwe and the Standing in the Gap team. The intercessory group holds regular meetings in various parts of the country, and attracts Christians from across denominations. The team has also organised prayers on October 23 and 24 in Ndola, Kitwe, Chingola, Livingstone and Luanshya. Another large gathering is expected to take place at the 10,000-seater Blessing Centre in Emmasdale, besides the gathering at the Lusaka ShowgroundsÂ Â where President Lungu will be in attendance. The prayers will start in the morning. Although the day of prayer has been received with great opposition from some political leaders and a few church leaders, many Christians have voiced out in support of the day and declared their willingness to fast and pray tomorrow. Prayers are also being organised in various foreign missions for Zambians living abroad. Many clergy have turned to social media to voice out on the subject and to urge members to pray for the nation. â€œNo one can deny the fact that Zambia is experiencing a crisis of alarming proportions,â€ posted Bishop Joseph Imakando, who heads the Bread of Life Ministry International. 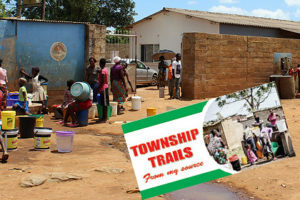 â€œThe load shedding of electricity has changed our individual lives and impacted our economy negatively. This has adversely affected production and resulted in massive job losses. The depreciation of the kwacha against the dollar has resulted in prices escalating by 30 percent to 100 percent. Efforts by Government to reverse the situation have not yielded any fruit. The impending increase on fuel will cause yet another price escalation which will further complicate matters. What we need is divine intervention. Our President has realised this fact, hence the calling of a day of prayer and fasting,â€ he wrote. Bishop Imakando goes on to give one example in modern history of how God delivered Britain during the Second World War from an advancing German army. â€œHitler stopped his general advance, a storm of extraordinary fury grounded the German Air Force on May 28, and a great calm settled over the English Channel for several days. 335,000 men of the British army were evacuated from Dunkirk,â€ he writes. The Bible has many examples of what prayer and fasting can do. In Matthew 17:20-21, the disciples of Jesus were presented with a boy who was possessed with a demon, which they failed to cast out. Bothered by their telling failure, they consulted their Master. â€œAnd Jesus said unto them, Because of your unbelief: for verily I say unto you, If ye have faith as a grain of mustard seed, ye shall say unto this mountain, Remove hence to yonder place; and it shall remove; and nothing shall be impossible unto you. â€œHowbeit this kind goeth not out but by prayer and fasting,â€ Jesus said. And in Ezra 8:23 is perhaps one of the most reassuring scriptures of how God responds to earnest prayer and fasting. â€œSo we fasted and besought our God for this: and he was intreated of us,â€ the Bible says. Dr Mumba also addresses the fears being peddled by some people that the day appointed for prayer, October 18, is associated with the number of the Beast (666) talked about in the book of Revelation. 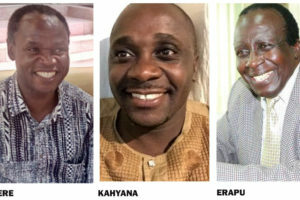 â€œâ€¦there is a concern going around that the choice of the 18th of October could be connected to the beast of Revelation who is identified by the number 666. The word going round is that the addition of the three numbers equals 18, the date chosen for Prayer. â€œFirst of all, God is Lord on all days. 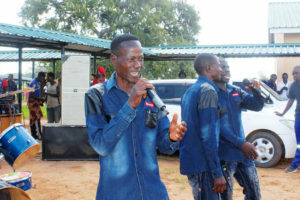 Secondly, even if there was any evil intention by those who have chosen the day, when we worship God in Spirit and in truth on that day, God shall subdue any evil power because He is Lord of all,â€ says Dr Mumba, who is also an ordained preacher. â€œRevelation 13:11-18 explains the signs which shall characterise the emergence of the beast. It also says that the first beast shall FORCE everyone to get a mark of the beast and worship the beast. No one is forcing Zambians to get any mark and no one is forcing any one to attend the event. And Pastor Choolwe of Gospel Envoys, posted on his Facebook page: â€œIf calling for prayer and fasting on the 18th of October is politics then THATâ€™S GOOD POLITICS which leads a nation to seek God. Any government both now and in the future which puts God in such high recognition will be supported in its efforts to turn the nation to God while also carrying out what we must humanly do. â€œWe encourage all to know that we will unwaveringly support any public nationwide recognition of our Lord Jesus Christ by any government both now and in the future. Political affiliation of governing authorities is inconsequential to the basis for our stance; we are Jesus driven,â€ he writes. â€œAs to whether the hearts of those calling for this are genuine or not, that would be too judgemental for anyone to claim to know. While we look at the outward GOD LOOKS AT THE HEART. We donâ€™t posses sufficient qualification to judge a personâ€™s heart fully. â€œLet us match on as Christians to encourage this kind of politics from all in the ruling and opposition parties. We must counsel all to recognise the place of God in the governance of our nation. â€œIf by any chance this is not genuine, it is at least a pointer to the kind of politics we must advocate for as Christians, politics that will bring the whole nation together in prayer to the one true and living God. He says none of the people who are opposing the call to prayer â€œis as good as Joseph (in the Bible) who to date is the best economist ever. Joseph accurately forecasted and planned for the economy of Egypt for 14 years and he got everything right. No economist can do that on earth today because of the one thing Joseph had which many of them donâ€™t have and that is DIVINE INTERVENTION.â€ Even Pharaoh acknowledged that this ability to forecast an economyâ€™s future was because of the spirit of God in Joseph. Oh, may that Spirit come upon our leaders on the 18th and beyond. â€œWe posit and opine that those who claim that God cannot heal an economy do so from the fact that they lack a personal relationship with him or at least have a form of godliness but they deny the power thereof. â€œGod will heal our land in every aspect as we pray on the 18 October,â€ he says. And it appears the path Zambia has taken to seek Godâ€™s intervention in the wake of crisis has not gone unnoticed from other countries facing similar challenges. Dr David Oginde, the presiding bishop of Christ is the Answer Ministries in Kenya, wrote in an article entitled, â€œLike Zambia, Kenya needs divine interventionâ€ and published in the Standard, comparing the challenges Kenya was facing to those affecting Zambia. â€œAs observed by many before, there is every evidence that whenever Kenyans have turned to God in prayer, this nation has looked up. That is why my heart totally resonates with the step taken by President Edgar Lungu of Zambia in proclaiming a national day of repentance, prayer, and fasting. And the fact that he has also enjoined Zambians in the diaspora, means that this is not just a political good gesture to appease the religious, but a serious turning to God for divine intervention. â€œAnd so, as Zambians gather across the world for prayers next Sunday, may the God of heaven hear their cries and save their land. And Lord, while on others Thou art calling, do not pass us by,â€ wrote the clergyman.